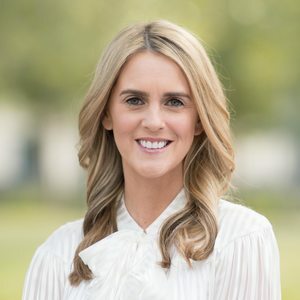 As a Houston native, Associate Broker Caroline Bean lends an insider's know-how and passion for local real estate to each transaction. She takes great pride in helping clients achieve their real estate goals, and throughout her career, she's earned a reputation as a trusted confidante and skilled negotiator. For Caroline, a career in Houston real estate is a natural fit: Her mother is an interior designer and her stepfather is a second-generation Houston home builder. Surrounded by great homes from an early age, she's cultivated an appreciation for fine craftsmanship and a keen eye for detail. A consistent top producer, clients appreciate Caroline's hard work, responsiveness and total dedication to their needs. She's known for her elite sales skills, impeccable client service and an ability to expertly drive any type of deal, including first-time buyers, new construction sales, resales or relocations. Caroline graduated from Episcopal High School and earned a bachelor's degree in business marketing from Louisiana State University. She resides in the Highland Village/Lynn Park area with her two children, and she's an avid supporter of the American Cancer Society, Texas Children's Hospital and the Children's Museum of Houston.